Dental crowns are a restorative dental treatment used to protect or support a damaged tooth. Unlike bonding, dental crowns will strengthen as well as improve the look of the tooth. There are various other practical uses for dental crowns, including acting as a support structure for a dental bridge. When teeth are badly discolored, dental crowns may represent the best option for improving the appearance of your smile. The crown will completely cover the discolored tooth and each crown is color matched as closely as possible to the surrounding teeth. Cracked or damaged teeth can affect both the look and health of your teeth, gums and bones. Severely cracked or damaged teeth can be restored through the use of dental crowns. Your Kyle Park Dentistry dentist will bring you in for an assessment before recommending dental crowns. Dental inlays and onlays are used to improve the shape, strength and function of the teeth. However, the two treatments are applied to entirely different areas of the teeth. Dental inlays are used to correct spacing between the cusps of the teeth, whereas onlays cover the cusps of teeth. Cusps are basically the biting surface of a tooth, so some teeth have more cusps than others. As such, dental onlays are commonly known as partial crowns. However, onlays are normally used where a crown or filling poses a risk of making damage worse. 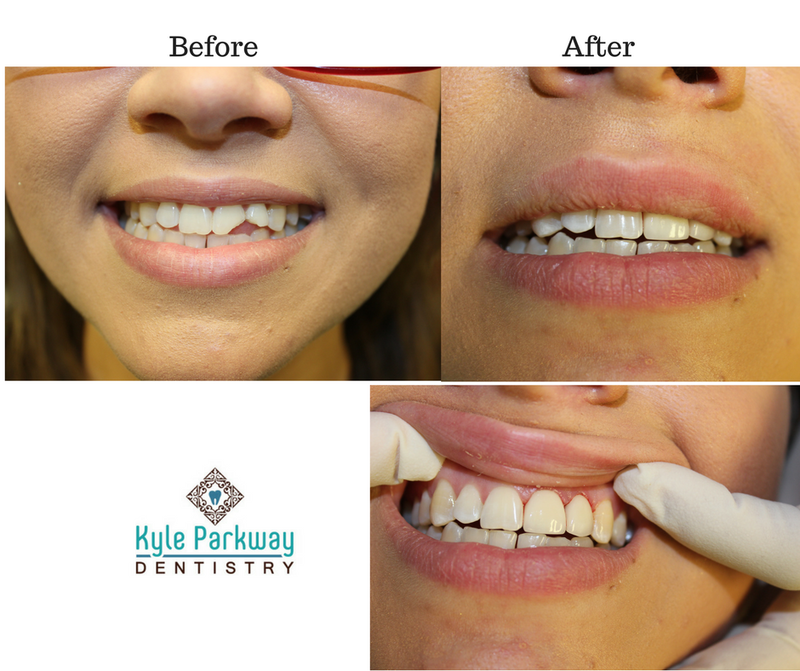 Kyle Park Dentistry can offer you dental crowns, inlays or onlays, depending on the site and extent of damage to your teeth. We will not consider any treatment without first carrying out a comprehensive dental exam. For the best dental care available in Texas, contact Kyle Park Dentistry today. Our team of dental professionals will always choose the most appropriate treatment for you at a cost that you can afford. For further information, give our offices a call and speak to a friendly representative.